*Free shipping in Contiguous US only. 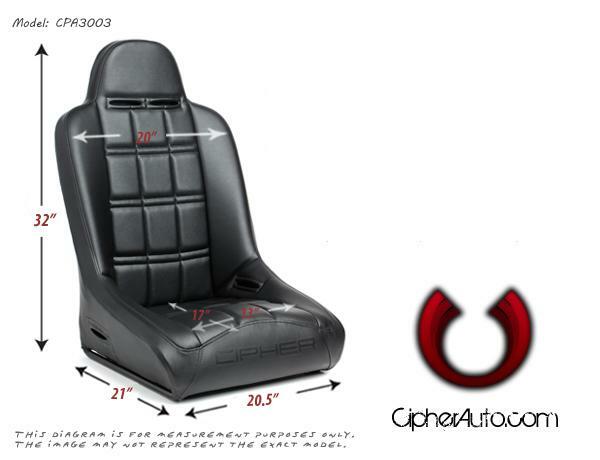 Description: Pair of Cipher Auto Suspension Seats, 100% Brand New in Box, Single lock sliders included (CPA9001SLR). 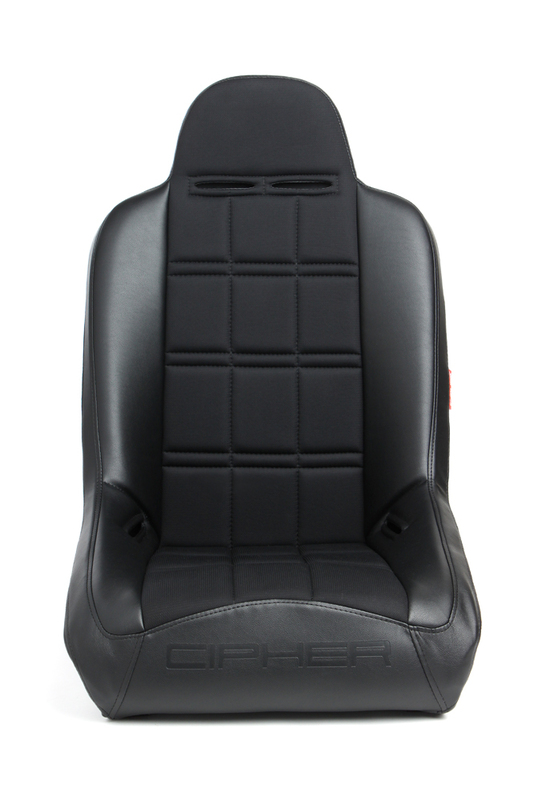 Cipher suspension seats are designed with the best comfort and styling in mind. Cipher suspension seats offer superior comfort, holding power and style compared to OEM seats. Our seats typically weight half the amount of stock seats while offering a durable and strong tubular frame. Performance: None reclinable, Thick bolster for maximum support & comfort. Cipher suspension seat will fit up to a 38" inch waist. Construction: High Quality PU Leatherette, 5 point harness accessible, Extra Strong & Ultra lightweight tubular steel frame, High density molded foam for best fit & most comfort. Note: Aftermarket racing seats may be incompatible with modern SRS airbag systems. Though there are ways to bypass the airbag system, Cipher Auto will not be held liable for any complications that may arise from this. Please be aware of this fact before purchase and installation. Click the button below to add the CPA3003 Black Leatherette w/ Fabric Insert Cipher Auto Universal Fixed Back Suspension Seat - SINGLE to your wish list.